Black Panther is getting all the applause for celebrating an all African-American cast and while that garners a huge kudos for Marvel, the film is worth praising regardless of the colour of the people it features. Black Panther movie review: With almost a civil war like situation in Wakanda, each character has a purpose and it’s well defined. Black Panther movie cast: Chadwick Boseman, Michael B Jordan, Lupita Nyong’o, Andy Serkis, Martin Freeman. Trust Marvel to give you a good time at the movies and they never fail to deliver. Black Panther, the 18th film in the Marvel Cinematic Universe, checks all the boxes of a popcorn entertainer with some slick action sequences, a dramatic plot and a hook for the next Marvel movie, Avengers: Infinity War. Here’s a thing about origin stories, they set up the universe of a new world and here, the audience is a blank slate. The director can choose the colours as he likes, the brush strokes he’s in the mood for and if he manages to present an enchanting canvas, you are transfixed and this is exactly what director Ryan Coogler does with Black Panther. Black Panther starts right after the events of Captain America: Civil War. 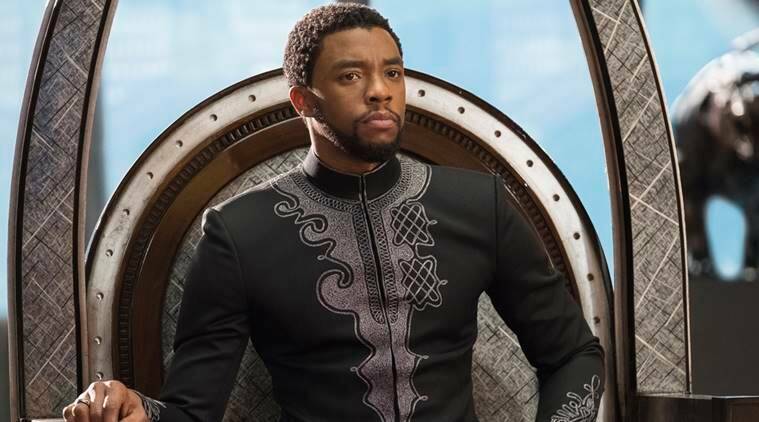 King T’Chaka (John Kani) is dead and it’s time for T’Challa (Chadwick Boseman) to take over the throne. After a short lesson on Wakandan history, which is quite essential for this film, we are taken to the country of Wakanda and it is nothing less than a visual delight. To the world, they are a struggling nation but in reality, their technology is something that could inspire Charlie Brooker for another season of Black Mirror. Wakanda is a strong nation but it’s also vulnerable. With umpteen amounts of vibranium that they hold, this is their biggest weapon which could very well blow up in their face as well. T’Challa has to defend his throne against the local tribes as well as the outsiders but with his sister Shuri (Letita Wright) by his side and a brand new Black Panther suit, he looks undefeatable until he meets a real competitor in the form of Erik Killmonger (Michael B Jordan). This is the threat he doesn’t see coming as he is busy preparing for Ulysses Klaue (Andy Serkis). The slick action sequences in Korea leave the audience mesmerised and deliver a 100 percent on the scale of awe. Martin Freeman (Agent Ross), Lupita Nyong’o (Nakia), Danai Gurira (Okoye), Forest Whitaker (Zuri) play T’Challa’s allies and each one of them brings something unique to the table. Sterling K Brown’s cameo is striking and quite pivotal to the plot. In Michael B Jordan, MCU luckily gets a villain with a purpose and a backstory. You empathise with the character and Jordan’s performance is convincing enough to make you believe that the Black Panther has an actual competitor here, even without their fancy gear. The film spends enough time on building Killmonger and that includes taking T’Challa out of the story for a while but it serves the bigger picture. You know it’s the hero that has to win but the thrill of watching them both compete on a level playing field is why we go for superhero films in the first place. Chadwick Boseman was quite impressive when he first appeared in MCU and he does not disappoint here as well. Letita Wright’s Shuri deserves special mention here as the woman is beyond brilliant in every scene she appears in. Ryan Coogler does not take the popular route of packing the film with jokes but the characters certainly have their moments which break the tension. There are scenes where you get the director’s reference of calling Black Panther the James Bond of MCU. With almost a civil war like situation in Wakanda, each character has a purpose and it’s well defined. Black Panther is being applauded for celebrating an all African-American cast and while that garners a huge kudos for Marvel, the film is worth being celebrated regardless of the colour of the people it features. Like every Marvel film, the post-credits scene can’t be missed here. With Avengers Infinity War releasing in April in India, Black Panther was the perfect appetiser that has left us asking for more from MCU.